The year 2000 brought us, among other things, a rap single called The Next Episode. The song is famous for its strong advocacy of marijuana consumption. In the very end, we are advised to “smoke weed every day” by Dr. Dre and Snoop Dogg. It seems as though more than 33 million Americans are doing just that. In spite of all the red tape concerning marijuana legalization, the U.S. takes the second place among the largest populations of marijuana consumers. Their 16.3% is only topped by Iceland, which has a rate of 18.3%. There are many reasons for smoking weed. Some do it for fun, some for medical treatment. But, what do we stand to gain from taking the rappers’ advice? What are the drawbacks? Let’s find out. The U.S. is infamous for its number of obese people. In fact, in the next 20 or so years, the number of Americans who are obese will surpass the number of those who are not. According to a 2013 Journal of Medicine article, marijuana is good for both diabetes prevention and waist size reduction. In fact, marijuana seems to reduce fasting insulin levels, which leads to reduced resistance to insulin in weed smokers. Additionally, the company of Mary Jane positively affects our carbohydrate metabolism, hence the reduced waist size. Recreational users may experience a sharp rise in blood pressure. Yet, chronic weed smokers do not experience this spike. In fact, daily consumption of THC gradually lowers blood pressure and helps us keep it at a healthy level. People tend to think that weed makes us unmotivated and lazy. However, this is not true. In fact, certain Sativa strains are known to be powerful stimulants according to James Reed, iSum founder. While there are some strains that will pin us down to our couch, others will make daily chores less monotonous. According to a study conducted by a team of German and Israeli scientists, marijuana positively affects the number of nerve cells in our brain, and there’s no doubt we need those so that we could learn. Besides wisdom, age also brings reduced cognitive ability. Yet, weed can counter this decline. Thus, we can avoid the extremes like Parkinson’s and Alzheimer’s just by smoking pot daily. The 2015 opioid epidemic in the U.S. has taken its toll on over 33.000 people. Ironically, people have taken opioids to relieve the symptoms of various medical conditions. Fortunately, marijuana does the exact same thing while not being detrimental to our health. We can start with smaller doses until the positive effects kick in. In fact, a Michigan study conducted in 2016 showed opioid use declining sharply due to medical cannabis. Studies suggest that the sperm count and testosterone levels in men can drop as a result of heavy use. Not only that, but the smoke can harm pregnant women due to the high concentration of carbon monoxide. In a nutshell, men will suffer from infertility, while newborns of affected women will weigh less at birth. Yet, there’s room for us to dismiss this claim. In fact, marijuana-related studies often yield contradicting results, but there is one noteworthy study from 1974. This particular study found that marijuana did not negatively affect plasma testosterone. Professor Reto Auer of the University of Lausanne has led a study on long-term marijuana use. For 25 years, the study has observed 3,500 Americans and their marijuana habits. The results showed a decline in verbal memory in long-term smokers by their mid-forties. Moreover, the participants showed a significant reduction in their short-term memory. They performed worse on memory tests as the dose of cannabis increased. Yet, the long-term memory of the participants did not suffer any ill effects. Moreover, smoking weed had no effect on their problem-solving ability either. Speaking of cognitive function, a drop in IQ is a major cause for concern. In fact, a team of New Zealand scientists conducted a study on that in 2012. There was an 8-point drop in IQ of users who heavily consumed weed in their teenage years. Interestingly enough, the drop usually happened between the ages of 13 and 38. While it is safe to say that we can become addicted to all sorts of things, marijuana is specific in that regard. Instead of feeling just comfortably faded, we will get a sort of psychedelic high. In turn, constantly trying to reach it is what could get us addicted to marijuana. Statistics say that some 15% of marijuana users turn into addicts. There also seems to be a direct relation between weed and brain maturity. Basically, it means addiction is more likely to happen when we are younger. We mentioned earlier that marijuana could lower our blood pressure. Yet, a study contradicts that claim by saying we risk hypertension instead. This study took place over the course of six years, and it included 1,200 people. The results showed a thrice increased risk of death by hypertension in regular weed smokers. Yet, we shouldn’t take its results too seriously. After all, it was the first study to explore the link between marijuana and heart health. Besides the positive effects we have listed, there are a dozen others. One thing though — the lack of studies related to the long-term use of cannabis makes it hard to jump to conclusions. Still, we want to make it very clear that marijuana is a Schedule I drug. Getting high on it should by no means be a routine escape from real life problems. Even though Snoop Dogg doesn’t mind, we should always lean toward moderation. 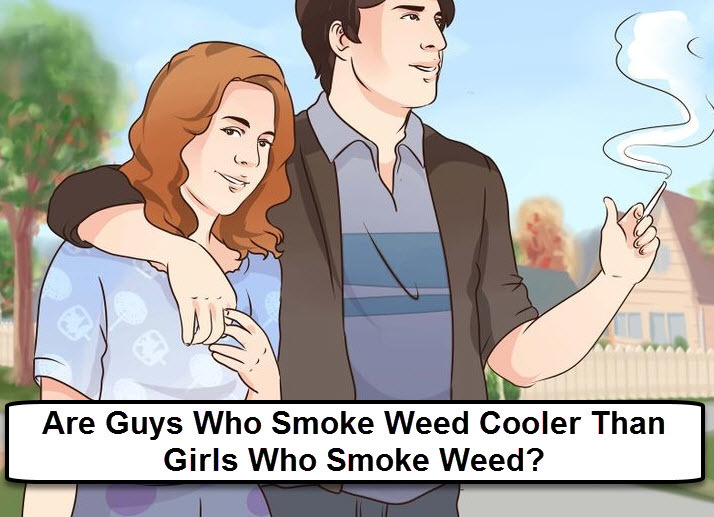 ARE GUYS SMOKING WEED COOLER THAN GIRLS SMOKING WEED, CLICK HERE. CANNABIS FOR THE FIRST TIME, CLICK HERE. Cons, Daily, Pros, Smoking, weed. Bookmark.